Guest Speaker Scott Harrigan, Harkin Aerial, Inc. educated NSWCA commissioners on new technology applications that are being widely used within the water industry. Fitted with cameras, the drones enable photography of hard to reach places including steel water tank exteriors and interiors. Thermal imaging cameras can accurately detect leaks on pipes that are otherwise extremely difficult to see as well as underground structures, wastewater collectors, etc. The presentation included detailed information on GPS enabled drones, ground surveying, inspections, photo and video capabilities and 3D models. 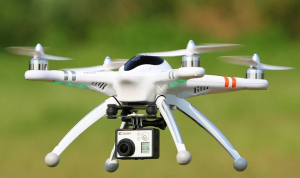 Regulated by the FAA drones must be operated by a pilot when used for hire, and can operate in winds up to 40 MPH.